Mississippi coat of arms; image on Wikipedia (use permitted with attribution / share alike). Mississippi's state motto is Virtute et armis (Latin for: By valor and arms). 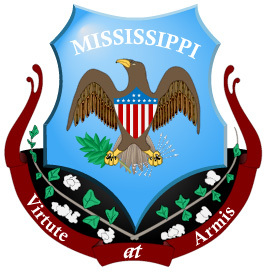 The Latin motto appears on Mississippi's coat of arms.